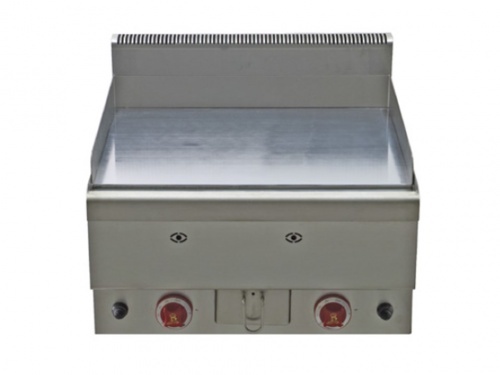 Electric griddle with mixed plate(smooth/grooved), measures 600 x 600 x 270 mm. Top thickness 10/10. The collection drawer for fats and residues is located front the plate. The plate is heated by specialarmored elements. Temperature control made by thermostat gradual regulation of the power supplied. The safety is guaranteed by a safety thermostat. Framework made in stainless steel.